In the middle of the flight, while accidentally passing through Soviet air space, Soviet fighter jets appear getting close the aircraft. The Soviets, who didn’t know the plane contained civilians, warned the pilot that they will shoot down the aircraft if it doesn’t identify itself, and the pilot, for some unknown reason, doesn’t respond. Reports say the pilot never actually received the information, although theories about this are still unclear. An hour passes as the fighter jets still accompany the aircraft, and the orders from Soviet military is to shoot down the aircraft just as the plane was leaving Soviet airspace. The Soviet fighter jets shot down the plane, with the aircraft plunging 35,000 feet in less than 90 seconds, killing 269 civilians, including a US congressman. Hell broke loose. As the Soviets tried to defend their ‘mistake’, US President Ronald Reagan described the Soviets actions as “barbaric” and “a crime against humanity that must never be forgotten”. It was a cold night at the Serpukhov-15 bunker in Moscow on 26 September 1983 as Strategic Rocket Forces lieutenant colonel Stanislav Yevgrafovich Petrov resumed his duty, monitoring the skies of the Soviet Union, after taking a shift of someone else who couldn’t go to work. Just past midnight, Petrov received a computer report he’d dreaded all his military career to see, the computer captured a nuclear military missile being launched from the US, destination Moscow. In the event of such an attack, the Soviet Union’s strategy protocol was to to launch an immediate all-out nuclear weapons counterattack against the United States with nuclear power, and immediately afterwards inform top political and military figures. From there, it would be taken a decision to further the military offensive on America. The bunker was in full-alarm, with red lights all over the place as the missile was captured by the Soviet satellites via computers. Petrov wasn’t convinced though. He believed that if the US attacked, they would have attacked all-out, not just sending one missile and giving a chance for them (the Soviets) to attack back. Petrov figured something didn’t make sense, as strategically, just one missile from the US would be a strategic disaster. He took some time to think and decided not to give the order a nuclear attack against America, since in his opinion, one missile didn’t make sense strategically and it could easily have been a computer error. But then, seconds later, the situation turned extremely serious. A second missile was spotted by the satellite. The pressure by the officers in the bunker to commence responsive actions against America started growing. A third missile was spotted, followed by a fourth. A couple of seconds later, a fifth one was spotted… everyone in the bunker was agitated as the USSR was under missile attack. Of course, top brass in the Kremlin didn’t find it so heroic, as he broke military protocol and if he would have been wrong, risked millions of Russian lives. He was sent into early retirement, with a measly $200 a month pension, suffering a nervous breakdown in the process. Due to military secrecy, nobody knew Petrov’s heroic judgment until 1998, when a book written by a Russian officer present at the bunker revealed that World War 3 was closer than people thought, and a nuclear holocaust was avoided by a close shave. Even though the Russians have little sympathy to the man who saved millions of American lives, the United Nations and a number of US agencies honoured the man who could have started a nuclear war, but didn’t. In 2008, a documentary film entitled ‘The Man who saved the World’ is set to be released, perhaps giving Petrov some financial help, thanking him for the incredible part he had in keeping the US and the USSR out of a full-blown war. Without knowing on the cold Moscow night back in 1983, a badly paid 44 year old military officer saved the world, and made himself one of the most influential persons of the century in the process, saving more lives than anyone ever did. 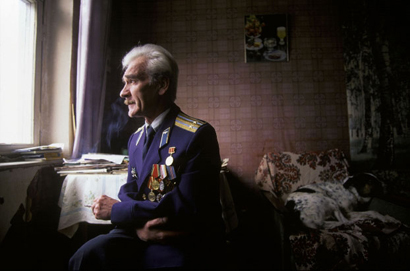 Most of today’s people don’t know it, but today’s world as we know it, is like it is because of Stanislav Petrov. ScienceDebate2008.com, the people responsible for the 14 Science Questions Facing America are allowing you the people grade the candidate answers. This is an excellent opportunity for you to have your say on the answers they provided. The site also allows you to submit a question of your own. You’ll see mine in there. So head over there now and get grading. At this time, I will be unable to compare and contrast the candidates answers as I had originally planned. However I still encourage you to read both candidates answers and do a comparison of your own. Oh Shi* – Hadron Collider halted for months?! The Large Hadron Collider near Geneva will be out of action for at least two months, the European Organization for Nuclear Research (Cern) says. Part of the giant physics experiment was turned off for the weekend while engineers probed a magnet failure. But a Cern spokesman said damage to the £3.6bn ($6.6bn) particle accelerator was worse than anticipated. The LHC is built to smash protons together at huge speeds, recreating conditions moments after the Big Bang. On Friday, a failure, known as a quench, caused around 100 of the LHC’s super-cooled magnets to heat up by as much as 100C. The fire brigade were called out after a tonne of liquid helium leaked into the tunnel at Cern, near Geneva. Cern spokesman James Gillies said on Saturday that the sector that was damaged would have to be warmed up well above absolute zero so that repairs could be made. While he said there was never any danger to the public, Mr Gillies admitted that the breakdown would be costly. He said: “A full investigation is still under way but the most likely cause seems to be a faulty electrical connection between two of the magnets which probably melted, leading to a mechanical failure. “We’re investigating and we can’t really say more than that now. The first beams were fired successfully around the accelerator’s 27km (16.7 miles) underground ring over a week ago. The crucial next step is to collide those beams head on. However, the fault appears to have ruled out any chance of these experiments taking place for the next two months at least. The quench occurred during final testing of the last of the LHC’s electrical circuits to be commissioned. At 1127 (0927 GMT) on Friday, the LHC’s online logbook recorded a quench in sector 3-4 of the accelerator, which lies between the Alice and CMS detectors. The superconducting magnets in the LHC must be supercooled to 1.9 kelvin above absolute zero, to allow them to steer particle beams around the circuit. As a result of the quench, the temperature of about 100 of the magnets in the machine’s final sector rose by around 100C. The setback came just a day after the LHC’s beam was restored after engineers replaced a faulty transformer that had hindered progress for much of the past week. Astronomers have detected the most distant gamma-ray burst ever found. The cosmic explosion came from a star that detonated about 12.8 billion light years from Earth. Gamma-ray bursts are fleeting blasts of high-energy radiation that occur when massive stars die and shoot out high-speed jets of matter. The expanding matter initially produces gamma rays, but when it starts colliding with surrounding gas, it creates afterglows at longer wavelengths. The new record holder, called GRB 080913, was first detected on 13 September by NASA’s Swift space observatory. Telescopes around the world soon detected its afterglow at longer wavelengths, and the light spectrum they observed revealed its incredible distance: 12.8 billion light years away. That is about 70 million light years farther than the previous record holder. “This is the most amazing burst Swift has seen,” said Swift’s lead scientist Neil Gehrels in a statement. Astronomers have been hoping to discover very distant GRBs because they exploded when the universe was young – they are being seen now because their light took billions of years to reach Earth. These ancient GRBs could reveal details about the lives and deaths of the very earliest stars. GRB 080913 exploded less than 825 million years after the big bang. “This burst accompanies the death of a star from one of the universe’s early generations,” said Swift team member Patricia Schady of University College London. 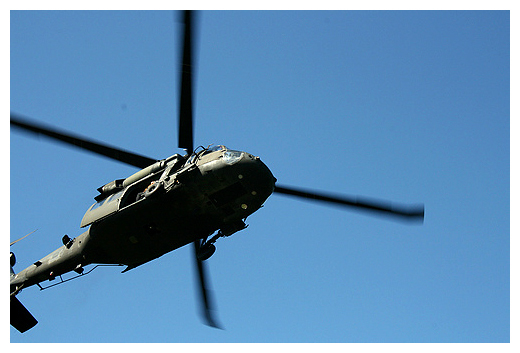 Photo of the Day – Get to the chopper! Lying within Fort Drum property is a site that may be hidden now, but in the past it was as clear as crystal. Lewis County rescue divers made a special trip to Quarry Pond near the impact area to refine their skills by searching the bottom of a once thriving quarry now filled with water. The dive was accomplished by the Lewis County Sheriff’s Department dive team, which is led by dive captain Pete Monnat. The training involved seven divers and two shore crew personnel. All personnel – divers and shore crew – are volunteers. “We got into this dive by hearing stories about it from other divers, historians and local citizens who stated it was deep, cold and full of history from the old lime quarry that existed before it filled with water,” said Rob Gates, a volunteer with the team. While diving, members of the team located the system of railroad tracks and a railroad car that were used during the days of the lime quarry. They also located a flywheel for a steam shovel and even a 1953 Chevy. “Some of what we learned was the conditions beneath the surface, including the layout of old equipment and land features,” Monnat said. “We also learned how and where to best access the water. All of this information is helpful in the event we are ever needed to conduct a search, rescue or recovery mission in this pond. 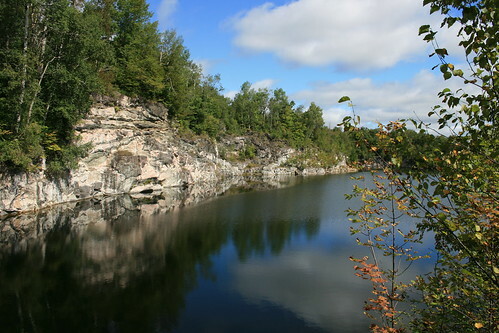 The quarry, located near Natural Bridge, had been in operation for several years when in the Fall of 1906, a discovery of great importance was made. The mine had been excavated to a depth of 60 feet, and one day workers scurried to safety as part of a rock wall collapsed to reveal an opening of a cavern. When workers had a chance to look inside, they were amazed to discover the largest calcite crystal formation ever found. When the mine superintendent notified his superiors, they contacted the assistant state geologist, who would supervise the project of carefully removing and shipping crystals to Albany. These crystals would go on to be displayed in the New York State Museum’s Crystal Cave exhibit for several years. “It was a highly significant mineralogical discovery that is still talked about today,” Rush said. While searching the old mine, divers also located the entrance to the Crystal Cave. “The dive team did in fact find the opening of the Crystal Cave, and the divers reported finding a wooden platform inside the cave opening, so that must have been part of the structure the miners used to stand on as they carefully removed the crystals,” Rush said. “Because when we think about it, that was a pretty significant accomplishment to get a nine-foot-long crystal out of the cave without breaking it. By the late 1930s, miners had dug below the water table and the mine was overtaken by the water. My photos from the project. Usually, light beams shine in a straight line, with the possible exception of light being bent by gravity. But scientists are now investigating how to make light beams into looped and knotted configurations. The possibility for these structured light beams arises from some curious solutions to Maxwell’s equations, which describe the fundamentals of electricity and magnetism. Physicists William Irvine of New York University and Dirk Bouwmeester of the University of California, Santa Barbara, and Leiden University in The Netherlands have published a study in Nature Physics on their analysis of knotted light. The scientists looked at the physical properties of knotted light and discovered that it can be experimentally generated using circularly polarized laser beams. In some little-known solutions to Maxwell’s equations, all the electric and magnetic field lines form circles that are all linked to each other. These loops of field lines can be used to construct the donut shape of a torus. In such a scenario, each circle wraps around the torus once, and no two circles cross each other. Smaller tori could then be nested within larger ones, filling three-dimensional space with circles of light beams. These solutions differ from any known existing form of light because of the intricate knotted structure, the physicists told PhysOrg.com. As they explained, this structure is based on the Hopf fibration, which was introduced in 1931 to mathematically investigate the structure of spheres in four and higher dimensions, a topic that seemingly has nothing to do with light. After investigating knotted light’s properties, the physicists determined that they could use laser fields to create the structures. Starting with a single-pulsed beam of circularly polarized light, and tightly focusing the beam, it should be possible to create various shapes of looped light beams. By using holographic techniques and a spatial light modulator, the shape and profile of the looped light could also be controlled. These same techniques have recently been used to produce Airy beams, which are light beams that don’t spread out as they propagate. Currently the physicists are preparing for an experimental realization of the new solutions either using electromagnetic radiation in the optical regime, i.e. light, or in the microwave regime. The main challenge will be to deal with ultra-short pulses of radiation in order to create a broad spectrum of frequencies as needed for the construction of the light knots. Because knotted light beams have both beamlike properties and unique unexplored properties, the physicists predict that creating the beams could have applications in several areas. These could include applications in plasma confinement, atomic particle trapping, manipulating cold atomic ensembles, and generating soliton-like solutions in nonlinear media.